My head is in the West, but my heart is in the East. And my heart aches. 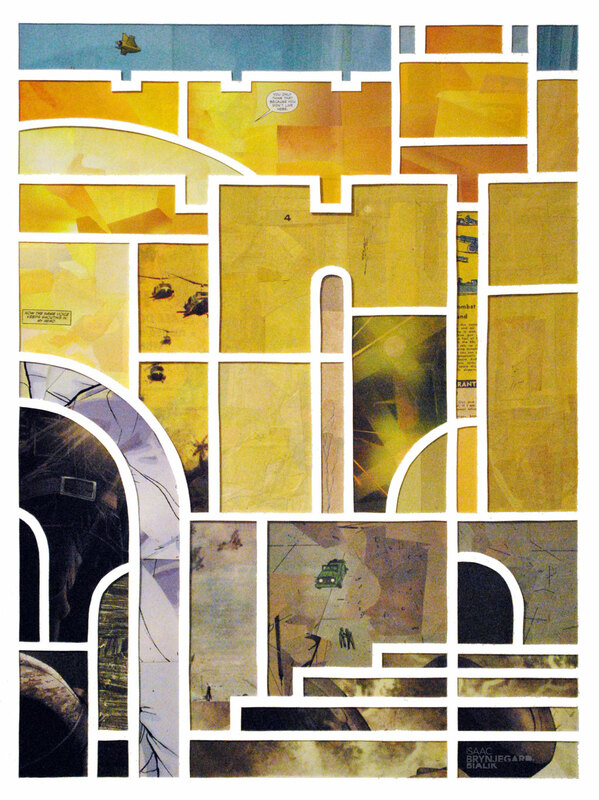 This is "You Only Think That," a 2014 papercut portrait of the Old City of Jerusalem made of cut-up war comics — a mixture of sun-drenched golden walls and darker passageways and shadows. The presence of helicopters and jeeps and part of an ad for war-themed toys undermines the city’s dream of peace. The city's golden walls are dark with the stain of war. I dream of peace for Jerusalem, and Israel, and all of the world. I dream of peace for all that seek it. And the news from Jerusalem today pains me. The title is taken from a speech bubble at the top of the papercut – it's one of the things that maddens and saddens me: that from over here in the West I can't truly know what's going on, and I can't truly contribute to making Israel what I want it to be. I dream of peace, and my heart aches.